Adventure. Many of us dream of it, but few of us actually follow through with it. That’s where we find Walter Mitty. A man who only truly lives life inside his “zoned out” world, finds himself in a predicament when life challenges him in a way he never dreamed possible. Pack your bags and hold on tight, you might just find your own adventure as you follow Walter Mitty on his. The Secret Life of Walter Mitty proves to be an enriching adventure that almost any age group searching for a purpose can relate to. One could compare this film as a mid-life crisis version of Stiller’s 1993 indie hit Reality Bites that followed a group of 20-somethings figuring life out post-college. In this attempt Stiller succeeds in creating a concept in which many of us find ourselves in day to day, zoning out to a place or situation that we’d rather find ourselves in. Walter Mitty (Ben Stiller) is a 42-year-old negative asset manager for TIME magazine, at a time when the company has been acquired and headed for online publication only. When famed photographer Sean O’Connell (Sean Penn) sends Walter his last film roll for the magazine’s last cover photo, it’s Walter’s sole job to find negative 25. With his new prick of a boss Ted Hendricks (Adam Scott) breathing down his neck awaiting that photo, Walter embarks on a real-life adventure to find Sean O’Connell, and negative 25. 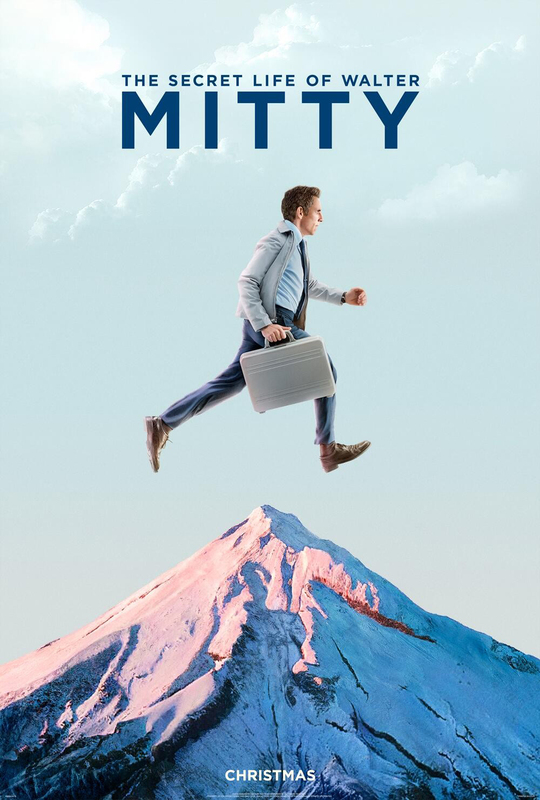 From here the audience is whisked away into a whirlwind of life being lived to its fullest, as Walter Mitty finds himself on the adventure of a lifetime. Ben Stiller does this film justice in many ways that audiences will find enjoyable this Christmas season. It’s not a seasonal-themed film, but it’s a profound, feel-good film that will leave the moviegoer satisfied and wanting more out of life. Not many films find themselves capable of doing so. The writing credit goes to Steve Conrad who develops all of these characters to have flaws. It’s important to notice due to the real-life parallels that the audience will relate to. The writing gives life to these characters in a film that has so much to do with living life. The audience will also find an appeal in the cinematography here. The composition in this film is strategically meant for adventure. No, not cheesy quick cuts. The extended duration of the shots in which plenty of action is taking place keep the audience entertained and anxious to see what comes next. The performances given in a film can not be given too much credit. The actors are the players that give life to the script and characters on paper. Ben Stiller naturally embodies the character of Walter Mitty who yearns for adventure, yet is afraid to leave the ground he walks on for fear of failing. Kristen Wiig delivers another solid performance in a more serious role than the comedy she’s used to. It somewhat resembles her role in Bridesmaids, but in a supporting character role. She plays the love interest of Walter, in the form of Cheryl Melhoff, who possesses just as many awkward quirks as Mitty does. Credit is definitely due in part to Adam Scott, who plays a great prick as he does in Step Brothers. Even though it’s only his voice that’s heard throughout the film, Patton Oswalt provides a comedic, yet optimistic presence as Walter Mitty’s eHarmony rep, Tom. Tom keeps in touch with Walter along his adventures in an effort to beef up Walter’s dating profile to appear more interesting to ladies. His lines were well placed throughout the film whenever the audience witnesses Walter experience some extraordinary event as a means of documenting that he lived that moment. Much more can be said of this film, but you’ll have to see for yourself. Especially with a Christmas release date, it’s a quality family movie that is time well spent at the theater. You may just find yourself whisked away onto your own adventure come credits. The Secret Life of Walter Mitty opens Christmas Day in Philly area theaters. I have enjoyed reading your review as some I have read we’re not so kind and actually suggested this not be a movie worthy of seeing. Yours, however, suggested there may be a connection between the characters and ourselves as we tend to seek fantasy over real world situations. It was truely refreshing to read a different view, one more positive. This story I understand was based on one written back in 1947 starring Danny Kaye. Would love to see and compare. Anyway, keep those reviews coming, I am an avid follower! I have given this a “10” rating. There was one minor issue I had with the movie that would make it not quite that in my mind, but a “9” rating would be an injustice to this extraordinary film and, since I’m unable to give it a 9.75 or something like that, “10” it is. This movie strikes an incredible balance between indy/art-house and Hollywood epic. The pathos of the main character is well-captured in subtle ways, as are the feelings of triumph when he is able to go beyond his own self-imposed limitations. The cinematography is extraordinary– this is a drama that *must* be seen in theaters. I expect that most adults with any sensitivity at all will find this a highly satisfying experience that speaks to their very cores. My wife and I were privileged to see it in an advanced screening, and can’t believe we have to wait another couple of weeks for the official release to go back and see it again.